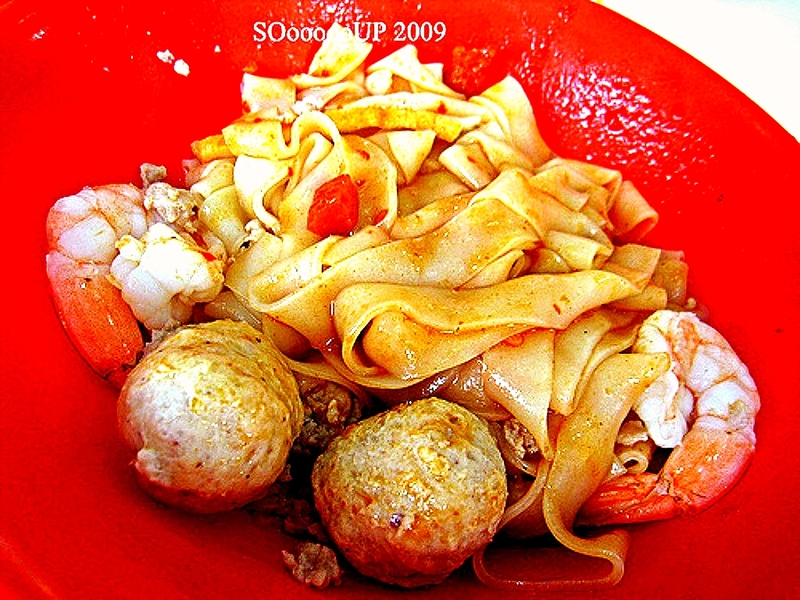 Ah Lim's noodle stall, at Jalan Tua Kong, Upper East Coast Road is our frequent patronage. It opens from 7am to 5pm and the place is crowded during weekend. 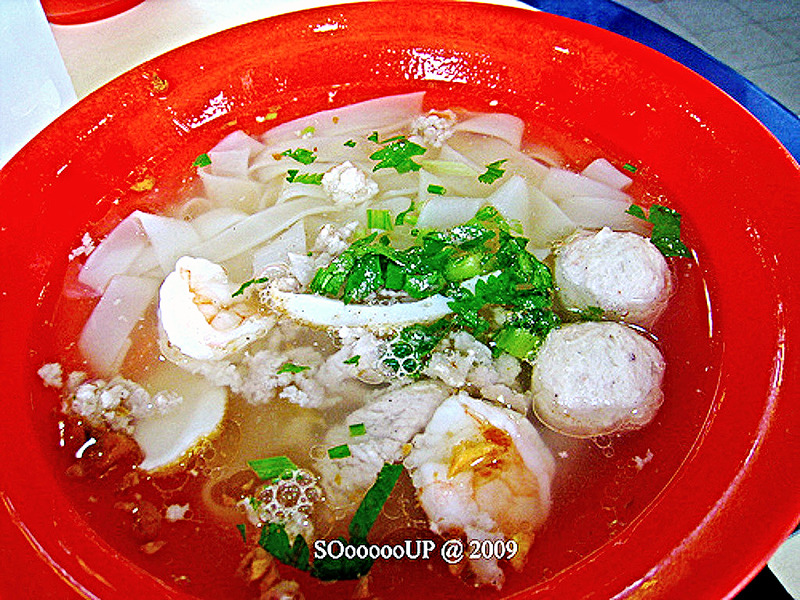 Sweet and tasty soup with smooth kway-teoh. Meat balls are springy with tender crunchy prawns. Compliment with soya sauce together with chilli padi slices gives fantastic sensation to your tastebud. Dried version gives a oomph and explosive kick. Chilly and tomatoes sauce make a good partner - hot and sourish.